I’ve been in the tech industry since I was just a wee lass. Last year, I took a break from tech, and decided I wanted to understand the inner circuity of my mind. I eventually found myself on a 4 month Buddhist retreat, where I had ample time to study my mind and the Buddhist philosophy of mind. I learnt some ways of thinking that I find useful now that I’m back in the tech industry, and here I want to introduce one of the most powerful concepts: “near enemies”. First, some background. Disclosure: I am just a Student Buddhist, so please feel free to research further everything I discuss here. Loving-kindness: wishing well towards all beings. Compassion: recognizing the suffering of others and wishing for them to be free of suffering. Empathetic Joy: rejoicing in the joy of others, even if it is not your own. Equanimity: even-mindedness and serenity, treating everyone impartially. They all sound really lovely, right? So here’s the thing: whenever you train in these virtues, you are also taught about the “far enemies” and “near enemies” of each one. The far enemies are fairly straightforward: ill will is a far enemy of loving-kindness, cruelty is a far enemy of compassion, jealousy is a far enemy of empathetic joy, and paranoia is a far enemy of equanimity. But the near enemies are things that look so close to what you’re trying to cultivate, but are actually fundamentally different in a dangerous way. For example: the near enemy of loving-kindness is conditional love — selfish, sentimental attachment — when you wish well for others only when they make you happy. It’s like when you say “I love ice cream.” You are not wishing well for the ice cream, you are wishing for the ice cream to bring your mouth pleasure. Ever used “I love” that way with humans? I have! So when you learn the Four Immeasurables, its crucial that you also learn the near enemies, because it is so incredibly easy for us to confuse the near enemy for the real thing. Those near enemies feel similar emotionally and rationally, but yet, they’re not the real virtue at all. Here’s a diagram of the Immeasurables and their enemies. If you research them, you may find slightly different enemies from various translations and teachings. Its interesting to find those and consider them as well. On a personal level, I’ve found it incredibly helpful to remember the near enemies. For example, I’m always working on reducing my anxiety and being less emotionally reactive (being more equanimous, a word I can rarely pronounce). However, I’ll admit I often fall into the near enemy of disassociation and indifference. Thankfully, since I am aware of that near enemy, I can realize when that’s happening and apply the antidotes. Okay, so how does this relate to the tech industry? We’re a very data-driven industry lately. We have to be, because when we’re making products that operate at a global scale, we need a way of zooming out on our thousands or millions of users, and understand how they’re using our products. So we end up picking metrics: the numbers that we want to put in our graphs, the numbers that we want to go up-up-up, the numbers that we base our idea of success on. 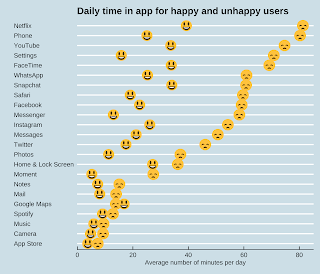 Many of us work for companies that measure user “engagement”, the number of times users engage with our product each week. We think of that as a good measure because we think, well, we are making a useful product, so the more users use it, the better it is for them! But more often that not, that user engagement number isn’t actually telling us how much usefulness a product is adding to users’ lives — that number is a near enemy, a number that looks deceptively close to our hopes and dreams, but could be closer to our fears. I’ll give you a specific example from my career. At Khan Academy, I created the computer programming curriculum. I wanted to give students the joy of creativity from coding. Each week, I reported how many minutes students spent in the programming playground of our site. One week, it went way up! Amazing! But, actually, that was the week that someone put a clone of Flappy Bird on Khan Academy, and students were just playing it nonstop. Oops, my metric was measuring addictiveness! Not what I wanted to achieve at all. That was the point where I realized that I needed to get much more specific with what I was measuring, like recording how often they successfully fixed a bug in their code or how often they provided a helpful answer to another student’s coding question. It’s a lot harder to measure what we’re really trying to achieve for our users, and that’s why we often settle on the easy numbers, the approximations. Ideally, we could measure very specific metrics that truly capture usefulness. Or perhaps, when we come up with metrics, we can think very hard about what non-desirable outcomes they might accidentally measure (what ways that metric might mislead us), and then make sure we also measure those counter-metrics alongside them. 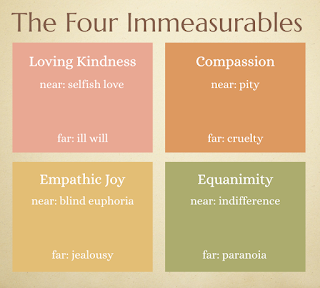 Basically, each metric has near enemies, and those get recorded alongside it. Andy Matsuchak gets into other great ideas around this in his post on Exalting Data, Missing Meaning. There’s another place in tech where I find the concept of near enemies very relevant: company values. 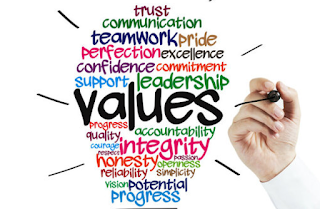 Each company comes up with a set of values, a bunch of feel-good words like Respect and Collaboration. That’s great, but what do those values really mean? What does it look like if you’ve achieved that value? And what is the near enemy of each value? What do you need to look out for, to make sure you’re not just achieving the superficial version of the value? That seems like a fascinating discussion for a company to have, one that would yield real insight into each employee’s interpretation of the values. I imagine that many of you already had a concept like “near enemies” in your head. I love the Buddhist terminology so much that I want to put that phrasing in your head as well, because I think it captures so well how easily we can fall into the near enemies, plus how dangerous they can be. May you be aware of the near enemies both in your personal growth and product development, and may that awareness guide you back onto a path towards your true goal. Thank you for reading!